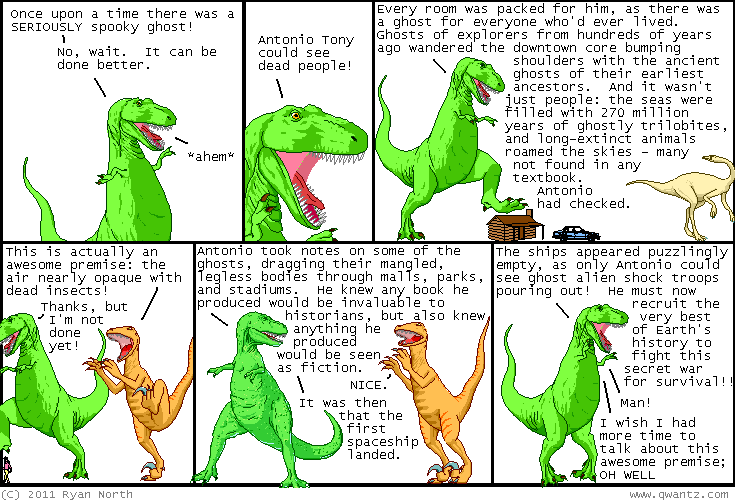 Dinosaur Comics - September 16th, 2011 - awesome fun times! –It's a world where everyone knows how they're going to die! One year ago today: guest comic by Lore Sjöberg of badgods.com!